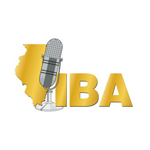 IBA Newsroom > News > Yes.. Reporters Are Allowed In Illinois’ Juvenile Courts! Yes.. Reporters Are Allowed In Illinois’ Juvenile Courts! Unfamiliar with the rules covering juvenile courts in Illinois. IBANewsroom has a primer on that and many other issues that can help reporters of all stripes. Check out the site and let your co-workers know about it as well. Thanks. Next article There Are Local Stories Worth Telling. How About A Grant To Help You?